A hybrid between G. gracile and G. ibericum, resembling a pink-flowered G. magnificum. 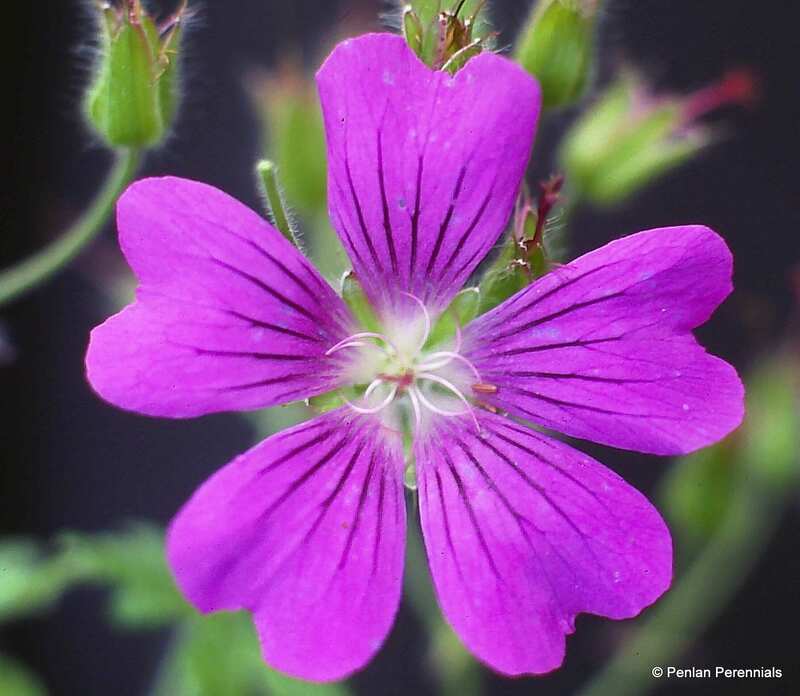 The flowers are large, purplish-pink and borne over a long season. 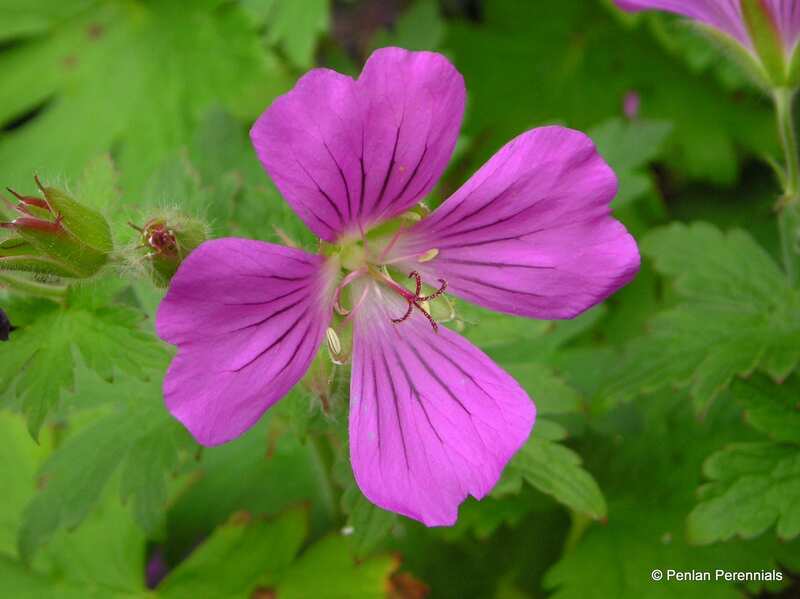 This lovely cranesbill makes mounds of weed-suppressing foliage which colours well in autumn. 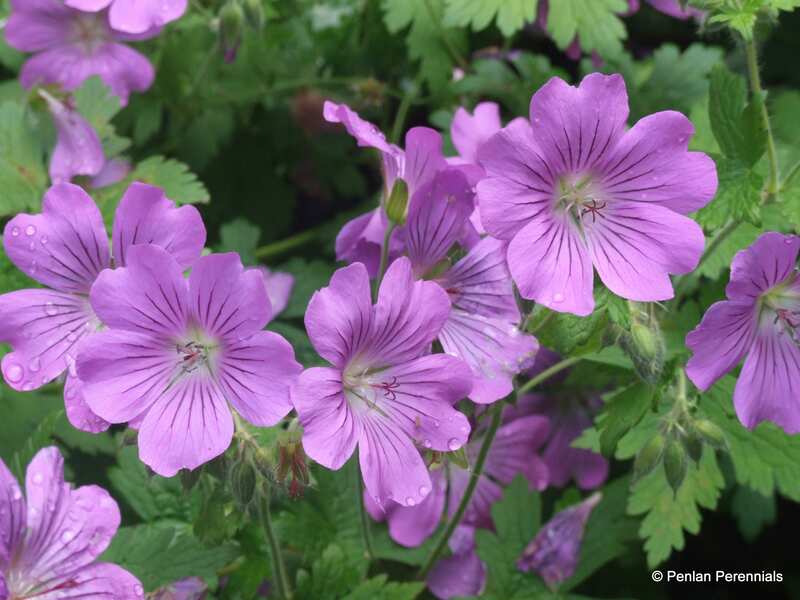 It was awarded an AGM at the 2004 RHS Geranium trial and stays semi-evergreen here in Wales. AGM. Hardiness rating H7. 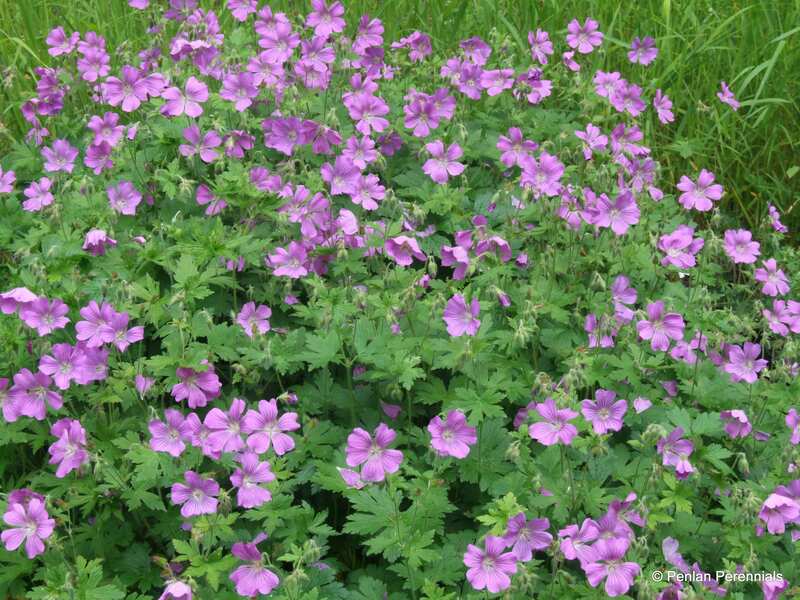 This cranesbill is very easy to manage. Remove old overwintered leaves in spring, tidying up any damaged by winter weather. Propagate by division in spring. Pest and disease resistant.